Are you interested in auditioning for Romeo and Juliet but wonder if you’re up to it? 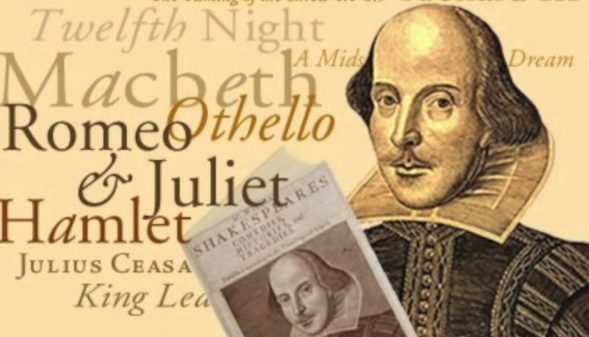 Shakespeare’s poetic language presents special challenges when bringing it to life on stage. how to speak poetry in a way that makes sense to an audience. Preregistration is required. There is room for 15 participants in each workshop so don’t delay signing up. Priority will be given to those who are considering auditioning for Romeo and Juliet. There is no cost for Shuswap Theatre members and the cost for non-members is the price of a membership ($10 for adults, $7 if you’re 18 or under. Buy your membership now. After purchasing your membership (if applicable) then complete the following form. If you are uncertain of your membership status, contact our Membership Secretary, Patrick Benson, at (250) 832-6626 or by email.